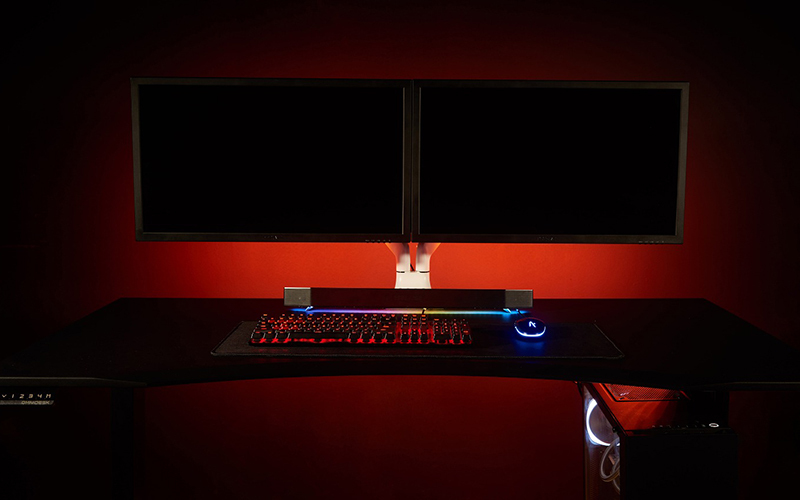 The Omnidesk can be installed with RGB LEDs. 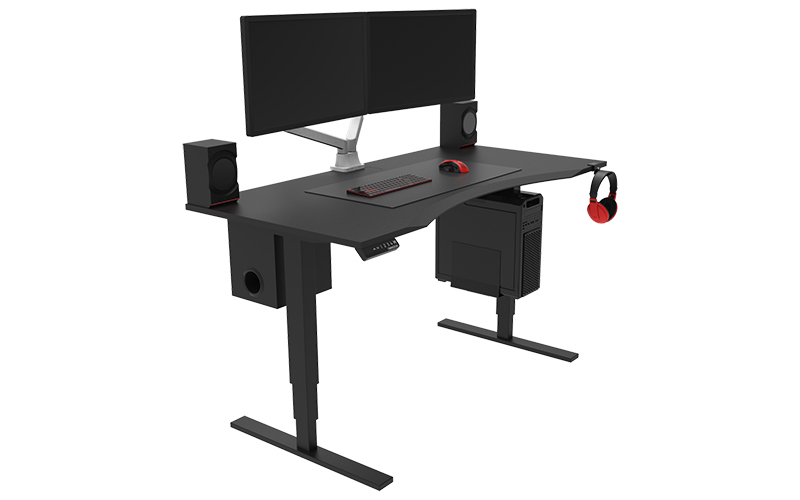 A look at the Omnidesk with add-ons for dual monitors, PC and subwoofer mounts, and a headphone holder. You can program up to four different heights for quicker access. 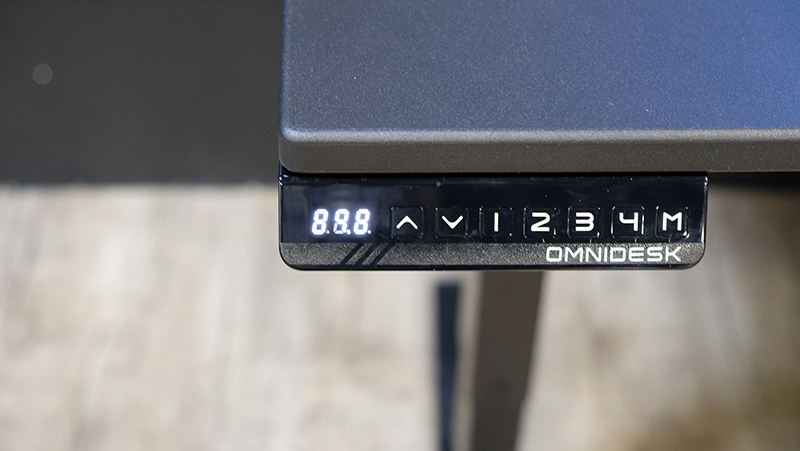 Here’s a close up of the black version of the Omnidesk. You’re supposed to be able to use the surface without a mouse pad. 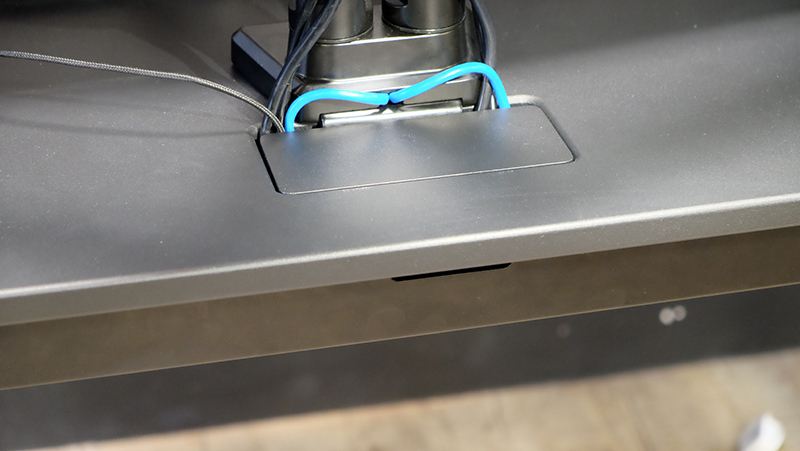 The compartment at the base of the monitor stand leads to the cable management tray. 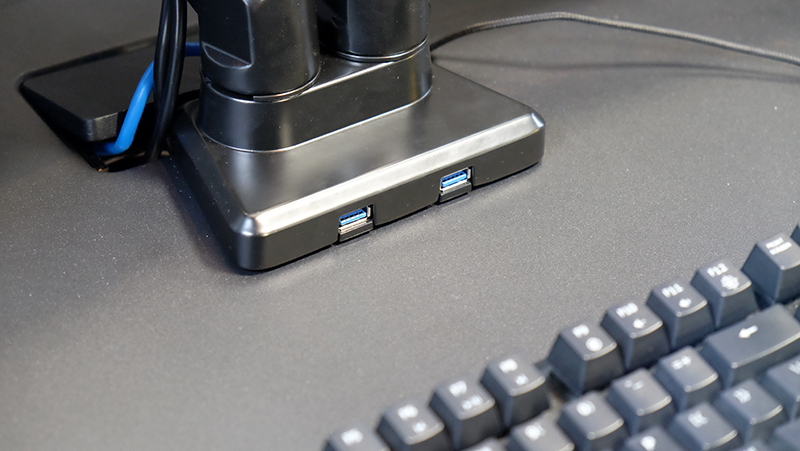 The power bar usually sits flush with the desk, but you can pull it up when you need access to it. 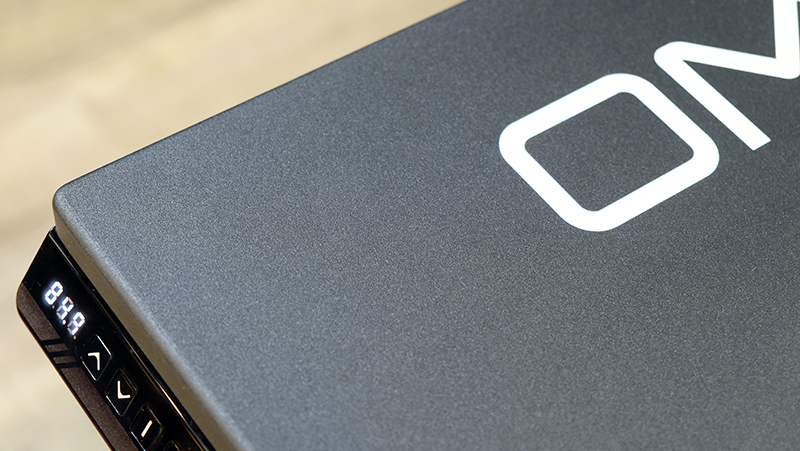 The headphone holder is a convenient way to stow your headphones within easy reach. 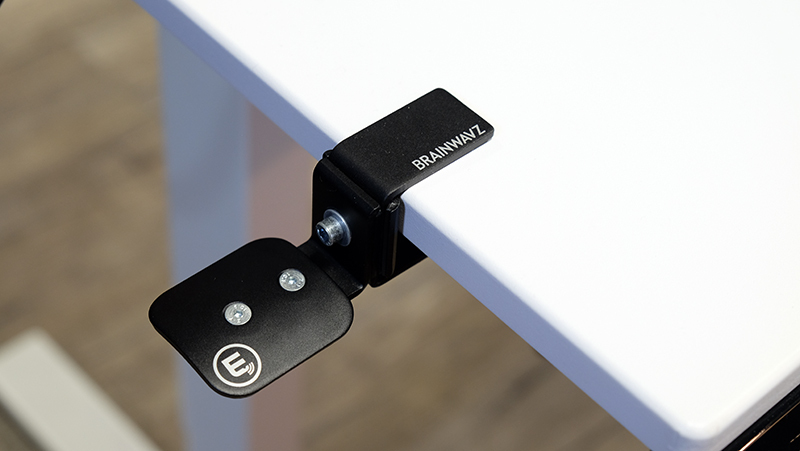 The subwoofer mount is a nice touch since it saves you from having to make space for the subwoofer on your floor. The mounts are specifically designed for individual subwoofers, and only the Creative Sound BlasterX Katana and Kratos S5 are supported now. 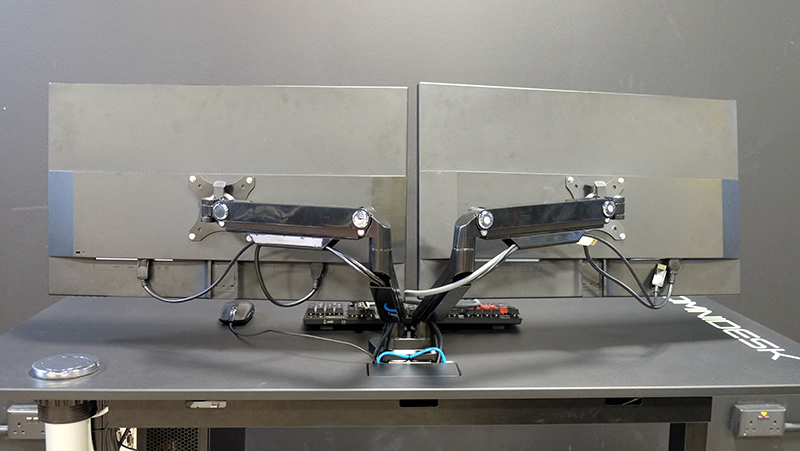 The desk used PRISM+’s ARC monitor arms, and they’re also pretty nifty as they allow you to rotate or tilt the monitors in pretty much any direction. 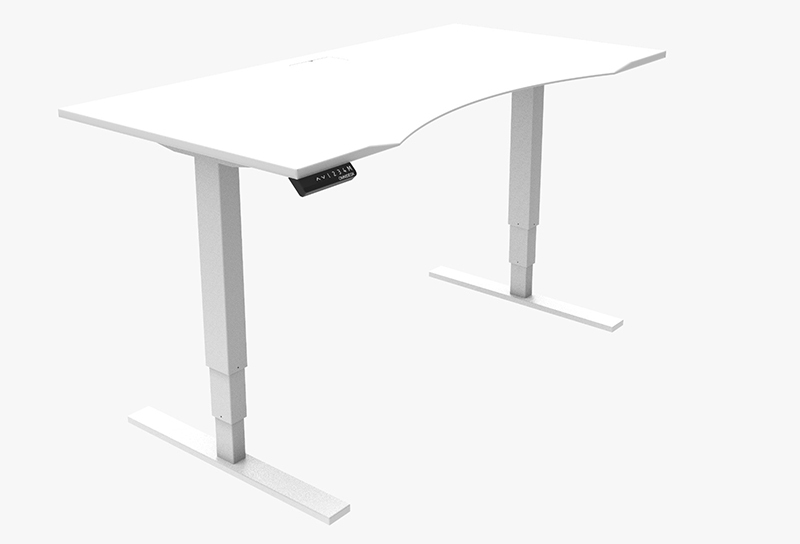 Only dual monitor arms are available now, but Omnidesk plans to support up to six in the future. A look at the monitor arms from the back. 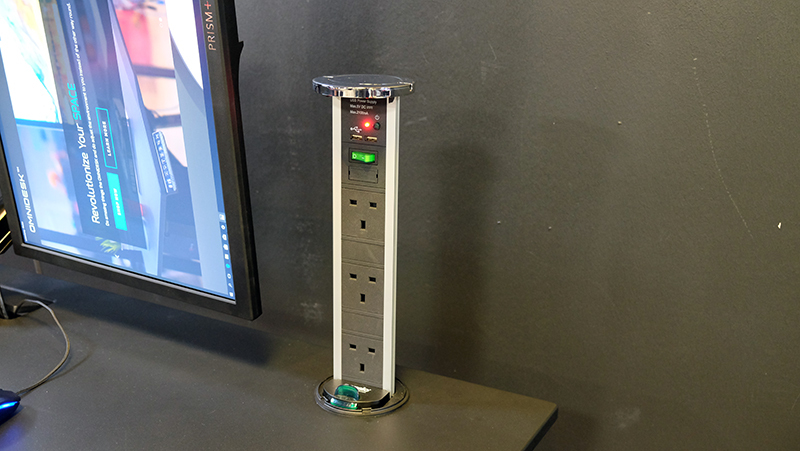 These USB ports could save you the trouble of reaching down to plug something into your PC. 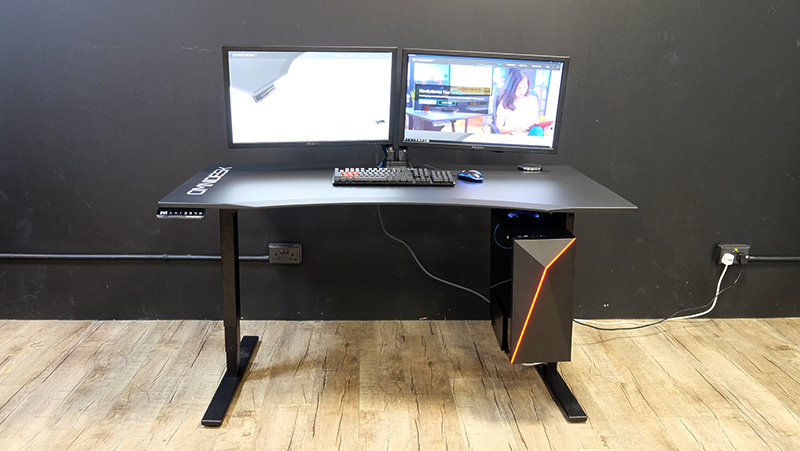 Posted in Blog, Tech Corner, Tech Corner and tagged #Aftershock, #gamer, #mcsc, #Omni, #Omni Desk, The Messiah.